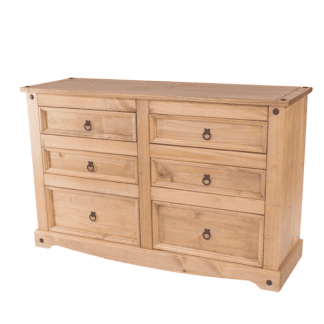 Corona Value bedroom furniture | Limited availablitity | Incredible prices. 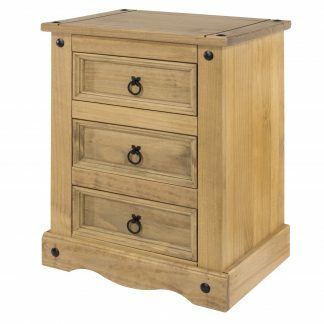 The only difference between the Corona Value furniture items and those in our other Corona bedroom range is that these are NON-DOVETAIL and are offered at hugely discounted prices. There will be no repeat, this offer ends when stocks are exhausted. 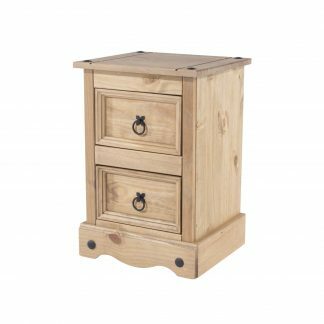 All items in the Corona Value bedroom collection feature a slightly distressed antique wax finish that reproduces the classic look of mexican pine furnitures. Metal fittings (handles, brackets & studs) are used throughout this range. These further compliment the looks of this stylish Corona bedroom furniture. 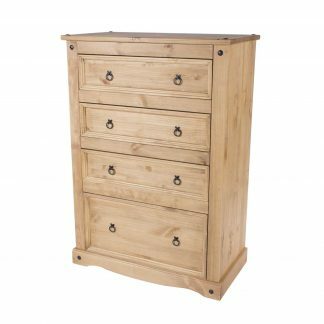 The Corona Value Mexican style pine bedroom furniture is produced using Brazilian pine harvested from ecologically managed forests. 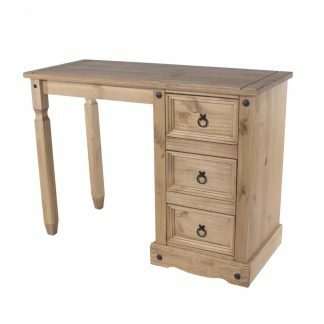 Each piece of the Corona pine furniture range is hand finished with an antique wax which helps to enhance the natural beauty of the wood. Drawer bottoms and carcass backs are made of strong plywood. Drawer bottoms are recessed into drawer sides for extra strength.